I have been a long time ThinkPad laptop user, thanks to my company's wise decision to procure ThinkPad laptops for office use. My first Lenovo laptop (X61) lasted me almost 5 years before my IT department replaced it with my current ThinkPad X230. Lenovo keyboard remains a favourite among all other laptop brands I have tried, and ThinkPad laptops have proven to be tough and durable. As a mouse user, I could never use a trackpad efficiently, yet I love the Lenovo red TrackPoint with 3 buttons below it. I also appreciate the pre-installed ThinkVantage productivity apps that manage the laptop settings, like creating battery optimisation, network access. Last year, after reviewing the first-generation Lenovo IdeaPad Yoga 13, I actually went to buy one for myself. I like the slim form factor, multi-mode setup (laptop, tent, tablet and stand), and overall performance. So imagine the delight when Lenovo comes out with a marriage of both product lines: The ThinkPad Yoga. Lenovo ThinkPad Yoga is basically a ThinkPad in Yoga design. You can fold the display all the way to the back of the keyboard into a sleek tablet. 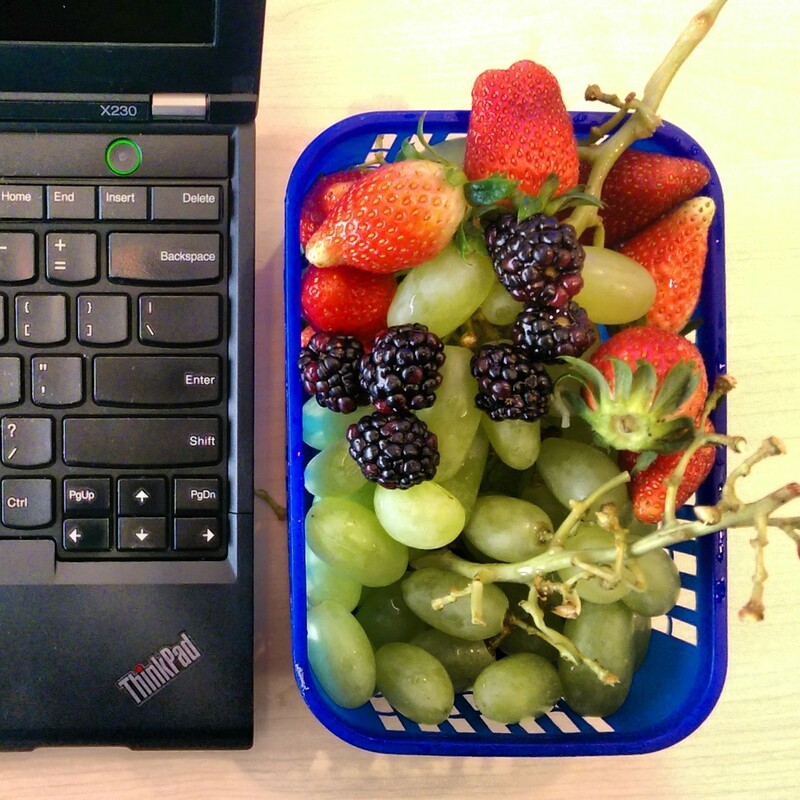 The body is made of a good mix of quality plastic and metal, just like the other ThinkPad models. Like a ThinkPad, it comes with the red TrackPoint and familiar trackpad. Retails S$2,549 in Singapore. Price may vary depending on the specs. The keyboard is mechanically locked when you fold the ThinkPad Yoga outside the laptop mode. So while you could still feel the keys, you cannot depress them. Comes with matt screen protector which reduces glare. Matt body instead of a rubbery finish. Touch screen feels responsive. It responds to a majority of my taps in a snap. Trackpad is huge and also feels responsive, perhaps too responsive, but maybe it's a matter of getting used to it since all the previous laptop review units reacted less favourably. Battery life is above average, giving me about 6 hours of usage. Putting the ultrabook on sleep mode did not drain battery life excessively. Charging is fast, takes less than 3 hours to reach full charge. It's got Yoga features, which I like. It's got ThinkPad features and ThinkVantage apps, which I also love. As I go about personalising the Windows, installing my favourite apps and updating the system to the latest software, I can feel the immense speed and responsiveness of the ThinkPad Yoga. Touch actions respond without hesitation, websites load faster, files download faster. I previously reviewed the ASUS Transformer Book Trio with the same Intel i7-4500U 1.8GHz (3.0GHz turbo) processor (but running on a mechanical HDD), and the Dell XPS 11 with Intel i5-4210Y 1.5GHz (1.9GHz turbo) (but on a faster SSD). The processor specs did not deviate much, but the overall performance is miles apart. Using Passmark benchmarking tool, it appears the RAM and SSD are strong contributors to the performance. In short, the ThinkPad Yoga makes Windows 8 look good. The standard red TrackPoint did not quite work as well compared to previous ThinkPad models with separate buttons above the trackpad, like X230. For this ThinkPad Yoga, because the 3 TrackPoint buttons are built as a single piece with the trackpad, I find I needed a little more effort to tap on these buttons compared to my X230. Sound quality is not as impressive as many consumer laptops. It's functionable and audible, but you won't enjoy music as much. Screen quality is not consumer-grade, where sharpness and high contrast is favoured. But it's good enough for work and content viewing. As an ultrabook, 1.58kg is borderline acceptable, but as a tablet, it is just too heavy. Still, having the flexibility to fold into a tablet is very useful. 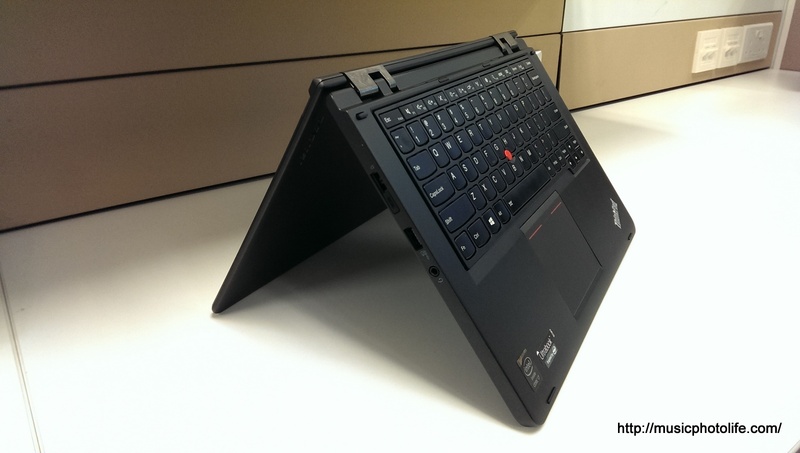 Perhaps Lenovo might grow the ThinkPad Yoga product line and offer future models that are smaller and lighter. The Lenovo ThinkPad Yoga is the snappiest laptop I have reviewed in recent months. As a ThinkPad, it's a reliable workhorse. As a Yoga, it offers flexible ways to use the ultrabook. It is the perfect machine for the serious consumer who needs an enterprise-grade laptop that is also fun to use.